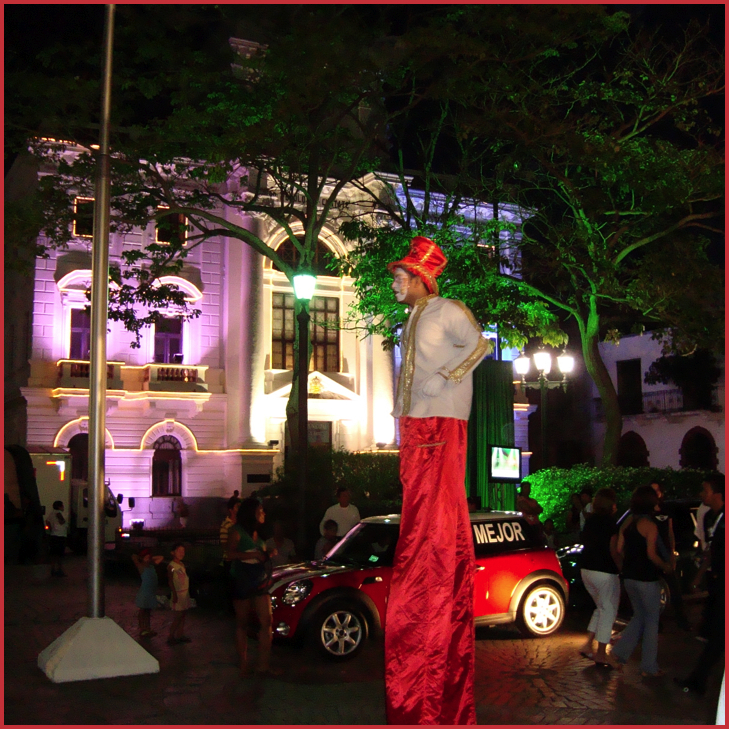 Surprising things happen in Casco Viejo. Not the numerous things that are just "different" (because virtually everything is, for us) but something so unlikely that you begin to understand that anything is possible. 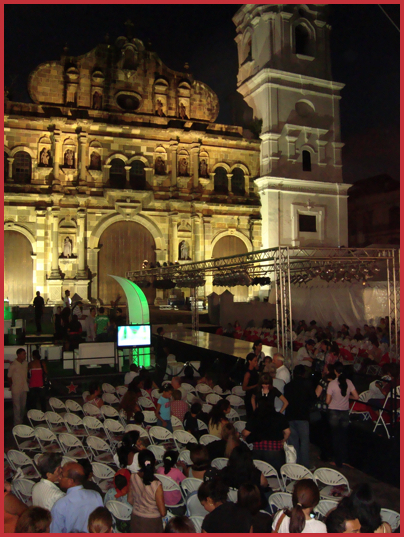 Until now, our benchmark for the improbable in Casco has been Opera at the National Theater - who would have thought! Over the weekend Opera may have fallen to . 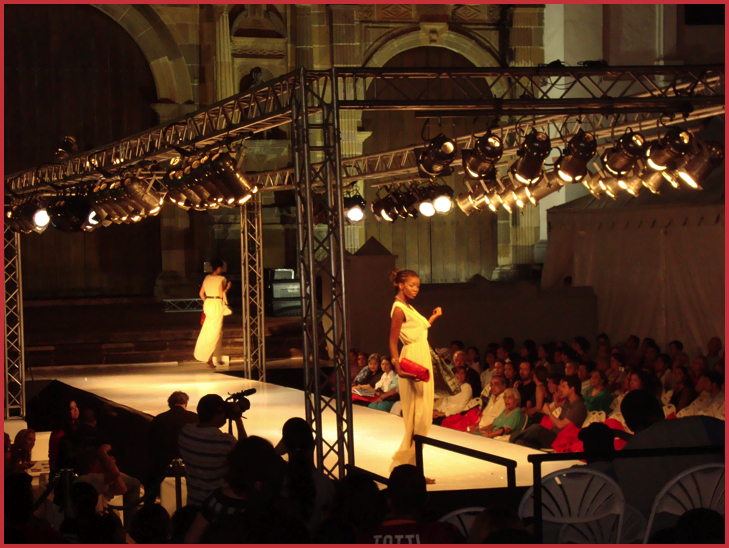 . .
a fashion show. We had plenty of bright lights, the "runway", photographers, music, entertainment and the required number of "beautiful people" (along with those of us in shorts and blue jeans) in attendance. The models, and clothes, were good looking. The music too loud - it always is (might this be a factor of age). And, the contrast between new and old was stunning. I went back a couple of times to "check things out" and ended up at Casa Gongora for the friday night concert. 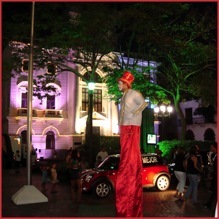 Another interesting weekend in Casco. Take care.